An increase in visitor numbers as weather improved over the bank holiday weekend prompted a busy period for Aberdyfi Search and Rescue Team. 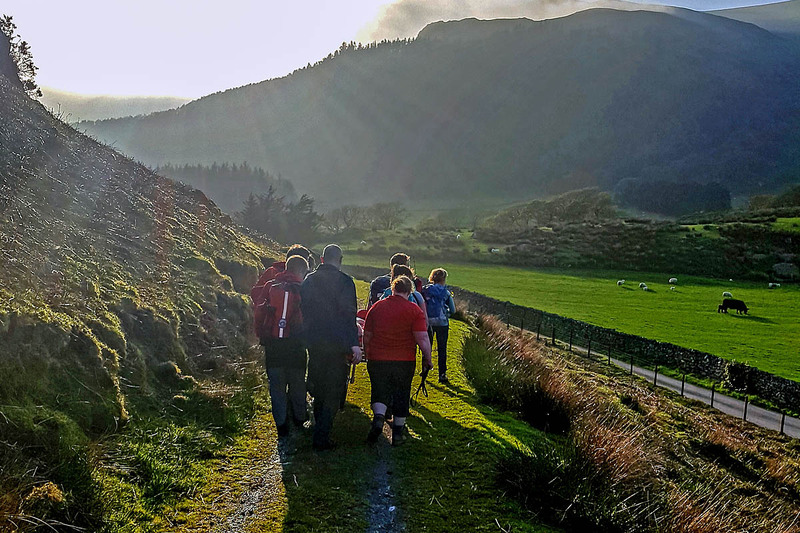 Volunteers from the team, based in the South of Snowdonia national park, were called out on Saturday evening, after a request from ambulance staff. A 76-year-old woman suffered a suspected broken ankle near the summit of Craig yr Aderyn or Birds’ Rock, north-east of Tywyn. An Aberdyfi team spokesperson said: “The ambulance crew had walked up to attend to the woman, part of a family group, but needed equipment and assistance to extract the woman back down to the waiting ambulance. About midday on Sunday, call-handlers from the team were alerted to a man with a leg injury near the summit of Cadair Idris. The spokesperson said: “The 38-year-old man from Birmingham had felt pain in his thigh climbing up, but after stopping for some lunch the leg seized up to the point that he could no longer load-bear. “A Snowdonia national park ranger was on scene fairly quickly and was able to confirm the need for transport off the hill. On Wednesday morning the team received a request to assist its neighbouring team, Brecon Mountain Rescue Team, in a continuing search for a vulnerable missing person. In the evening, with a number of team members already deployed on the search in Aberystwyth, call-handlers from the team were made aware of two walkers and their two dogs stranded in low cloud and rain at the top of cliffs on Cadair Idris. The team used Sarloc, a smartphone system that sends a link to a casualty’s phone, to obtain an accurate location for the pair. As a rescue party of team volunteers was deployed on to the hill, a call handler, knowing the location and the terrain, was able to give verbal instruction to move the pair to safer ground and then to steer them towards the approaching rescuers. Team volunteer Graham O’Hanlon, who attended many of the rescues, said: “It has been a busy few days for the team, and particularly so on Wednesday with the two overlapping jobs.